I love to use my iPad for web surfing all the time. But, I also love to use my iPad to check out my daily websites. And so it is vital for me to have my bookmarks and bookmark bar synced with my iPad. I also want to make sure that no matter what browser I am using, whether it be on my iPad, or Firefox, Chrome, etc. I will always have my bookmarks in sync for me. If you are like this, I have the perfect solution for you, Xmarks. 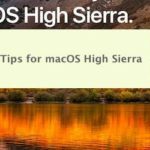 Xmarks is a great application to keep your bookmarks in sync no matter what browser you are using and what Mac, iPhone or iPad you are using as well. If you are using Firefox, Chrome, or Safari, all you have to do is download the extension for the specific browser. You can go here and download it for free. Once you download the extension or application for the browser that you are using, Xmarks will ask you to set up a free account and then will sync your bookmarks to the cloud. 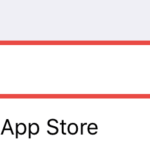 Once you are done here, depending on what browser you are using, will depend if you need to take this extra step to get your bookmarks to sync on the iPad. 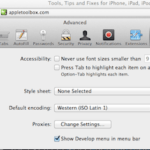 If you are not using Safari, you are going to want to open up Safari and set up the Xmarks application for it. 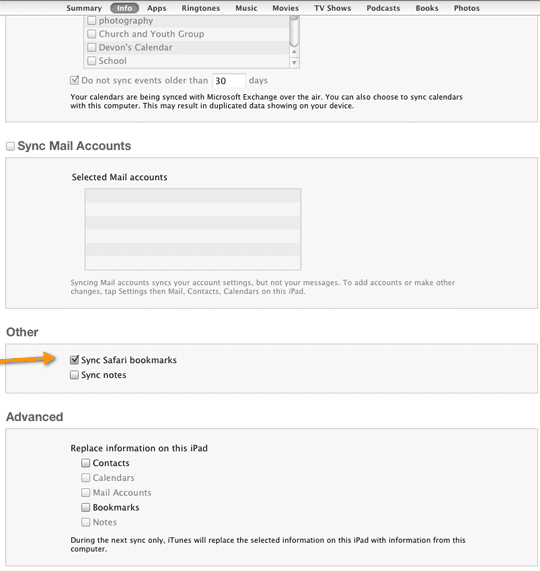 Then you are going to want to sync your iPad to iTunes and make sure you click the “Sync Safari Bookmarks” check box. This will then sync your Safari bookmarks with your iPad. And since your Safari bookmarks are synced with whatever browser you use because of Xmarks, your iPad bookmarks will now stay in sync. Personally, I use all three browsers for very specific reasons, so I make sure I download Xmarks for all of them. This ensures that no matter what browser I am on, my bookmarks are always in sync. The other nice thing about using something like Xmarks is that because it is in the cloud, if for some reason, if my computer were to crash and I lost all my data, I could still retrieve my bookmarks from Xmarks. I highly recommend Xmarks for use with your Mac and your iPad. Go and get it for free! You can beat that.